At Saint Louis' own Project Comic-Con I acquired all sorts of interesting comics from independent comic-makers. One of those bunch of comics were the first two issues of the series, "Angelic Wars" by Marcus J. Mosley. Considering how sometimes comic stories can seem a bit repetitive--even in the supposedly more creative smaller publishers--I enjoy how in the more independent-field creators can feel free to really go wild and do whatever they want for their stories, often resulting in quite original concepts such as the one contained within the pages of "Angelic Wars". I don't know too much biblical history so I can't comment too well on how much is drawn from the bible and how much Mosley himself created, but the comic has an interesting story in being about the famous devil Lucifer before he went against God. 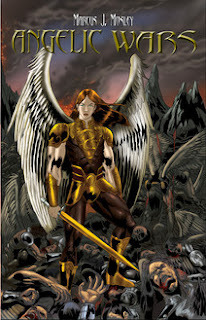 The story centers on Lucifer as he helps fight demons for God whilst slowly becoming more and more disillusioned--especially after an angel he loves dies. Honestly, the first issue was a bit confusing due to utilizing multiple flashbacks, and while the art isn't bad, Lucifer at times looks like a female character. The 2nd issue is much stronger however, with more focused issue that spends a lot of time on one of Lucifer's lieutenants, Lavarius, as he is held captive by the forces of evil due to another Angel being a traitor. 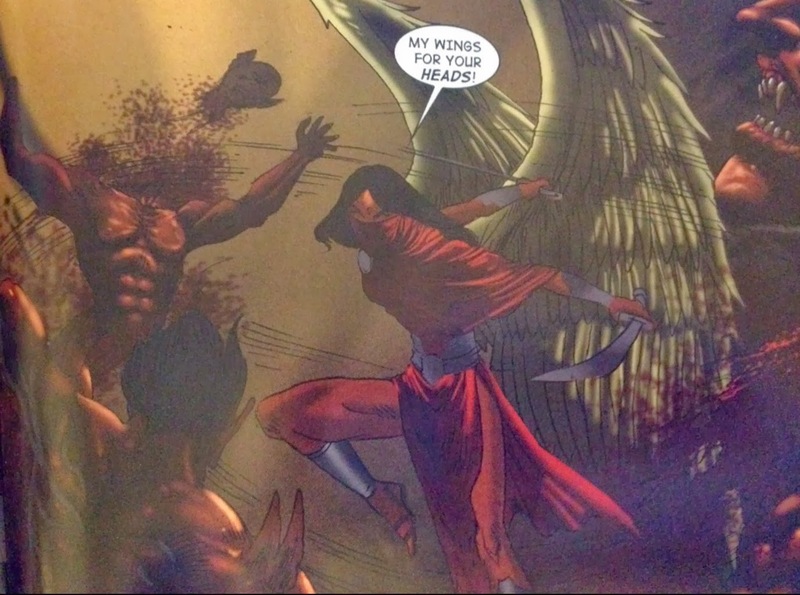 Plus, when Lucifer does appear he looks more male-ish so you don't get confused. "Angelic Wars" has fine writing and presentable art, but the most interesting aspect of the comic is probably the extremely creative concept of showing what happened before Lucifer became the big-evil folk think of him as now, and also seeing Lucifer grow more and more despondent, angry, and evil. In flashbacks we see a paragon of virtue and in the present we see someone prepared to slaughter anything in his way in a misguided attempt to bring back a lost love. "Angelic Wars" isn't perfect, but the extremely creative concept carries the book quite well even when the art or method of storytelling can be a bit confusing (flashbacks are a hard-to-use tool for sure). I would recommend checking it out if you're in the mood for something different and unique. You can find the comic in various Saint Louis-area shops or order it online at Mosley's website at this link.